The Department of Veterans’ Affairs mission is to support those who have served in the defence of our nation and commemorate their service and sacrifice. 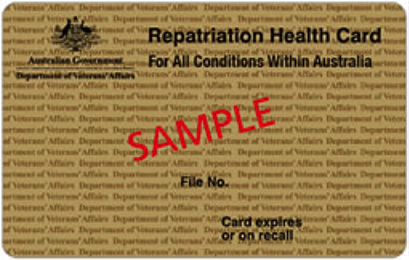 DVA supports veterans, war widows/widowers, eligible defence and police force members, and their dependants and carers, with commemoration, compensation, health care and income support. We can also assist eligible DVA veterans with their mobility and CPAP needs through the Department of Veterans’ Affairs Rehabilitation Appliance Program. Please call our DVA Manager, Annette on 07 4154 0540 to see how we can help you. You will need to show the pharmacist your Gold, White, or Orange Card to receive medicines on the RPBS and your Pensioner Concession Card to receive medicines at the concessional patient contribution rate.